The main stage of EDC Orlando caught fire on Saturday (10th November) night. 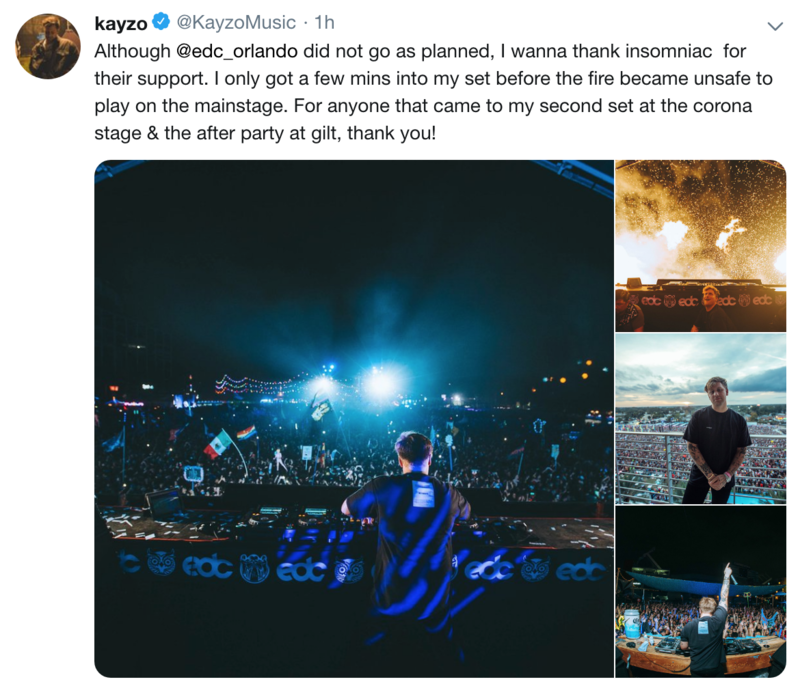 It happened during L.A. DJ and producer Kayzo's kineticFIELD set at the annual Florida event. Though it forced organisers to evacuate the stage, the fire was contained and no one sustained any injuries related to the incident. Featuring Armin Van Buuren, Aly & Fila and more, relive last year's EDC Orlando here. Back in January, Kayzo was among ten DJs who revealed to us their favourite club. In July, it was revealed that defendments in the tragic 2016 Ghost Ship fire would each serve less than ten years for 36 counts of manslaughter. EDM Sauce - EDC Orlando Stage Catches On Fire from Erik Mahal on Vimeo.